Out! 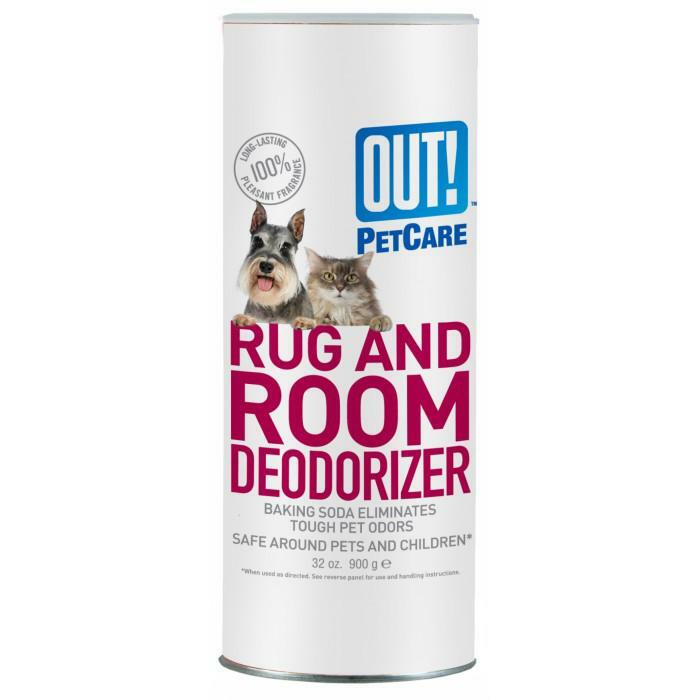 Petcare - RUG & ROOM DEODORIZER - CARPET POWDER 905ml - 230_CLEANING & ODOUR PRODUCTS, Carpet Powder & Shampoo, Out! - Product Detail - Prestige Pet Products Pty. Ltd.
Keep your home smelling clean and fresh with Out! Rug & Room Deodorizer. Professional-strength formula neutralizes tough pet odours and freshens rooms with a long-lasting fragrance as you vacuum. This product is safe to use around pets and children. CLEANING & ODOUR PRODUCTS > Carpet Powder & Shampoo > Out!